There is renewed interest in Hannah Hauxwell, the remarkable lady who thirty-five years ago captured the hearts of the nation when she was the subject of an extraordinary television documentary. “Too Long a Winter” portrayed Hannah’s constant struggle on a remote Pennine farm with no electricity and no running water. Battling against poverty and hardship in sub-zero temperatures, she somehow survived on an income of less than GBP 280 per year. 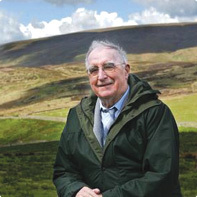 Two decades later, she finally gave up the unequal struggle and moved down to easier conditions in a Teesdale village. By now she was a national celebrity, ultimately featured in fifteen television programmes and a whole series of best-selling books. She went on memorable tours of Europe and America, shook hands with the Pope and played the piano on the famous Orient Express. 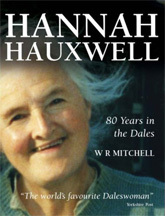 Hannah Hauxwell 80 Years in the Dales by W R Mitchell is the first major book on Hannah for eight years traces the extraordinary life of a delightful personality who has never lost her links with the Dales countryside. It includes many hitherto unpublished photographs.